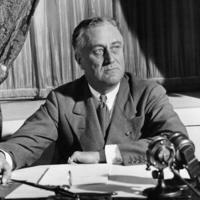 During his presidency, Franklin Roosevelt gave several radio addresses to explain his policies and government programs. These addresses came to be known as "fireside chats." In this photo, Roosevelt prepares to give his first fireside chat, just after taking office, in March of 1933 to discuss the banking crisis. 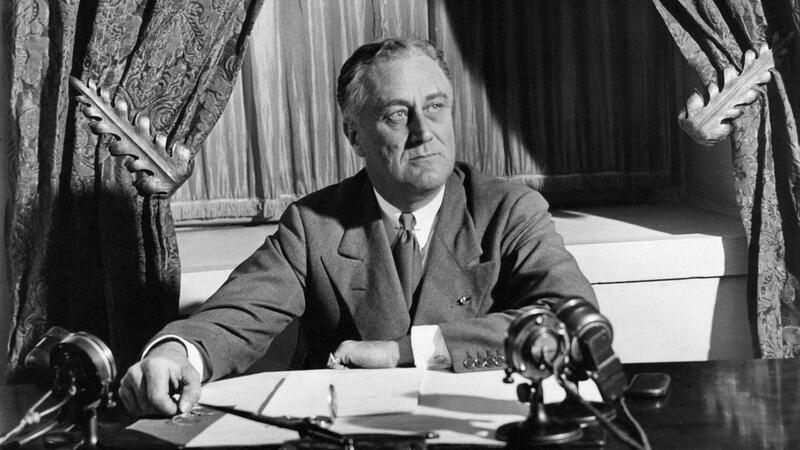 “Franklin Roosevelt,” Redlining Virginia, accessed April 23, 2019, http://www.redliningvirginia.org/items/show/2.